Raising their classical urn to the sky, two splendid maidens in draped gowns form the embellished base of this stately, yard-tall sculptural pedestal. With true French flair, our functional work of art boasts details from flowing tresses to acanthus ornamentation. 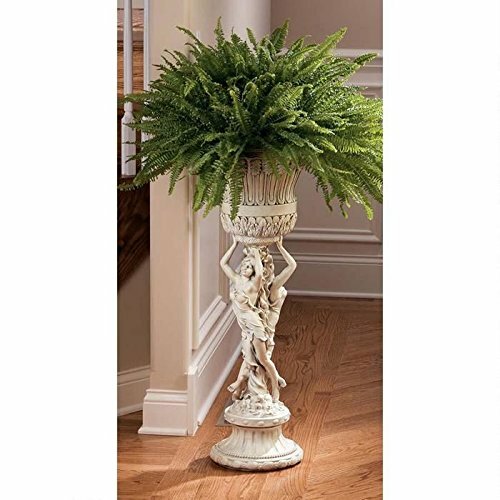 Perfect for an entryway, formal garden or home gallery, it is cast in 12 lbs. of quality designer resin.